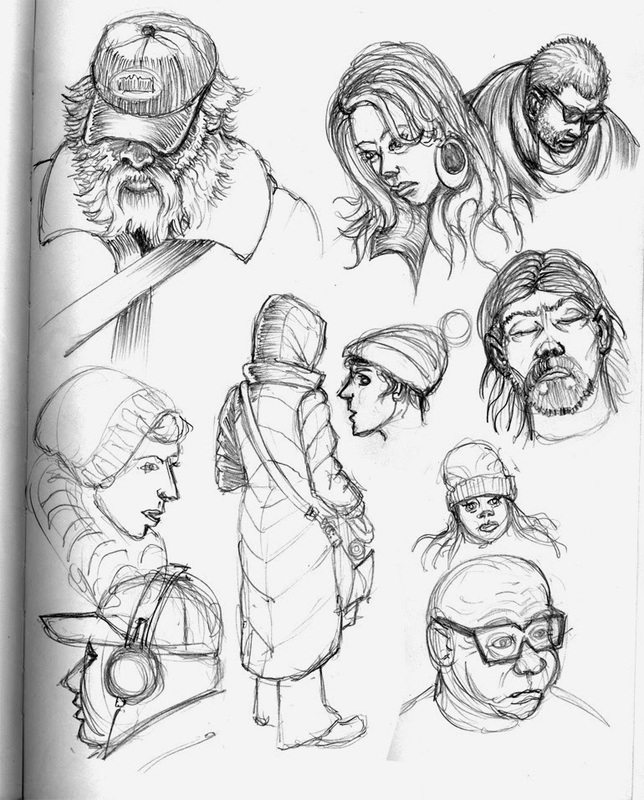 Here are more subway sketches. I typically draw one page every day or two. 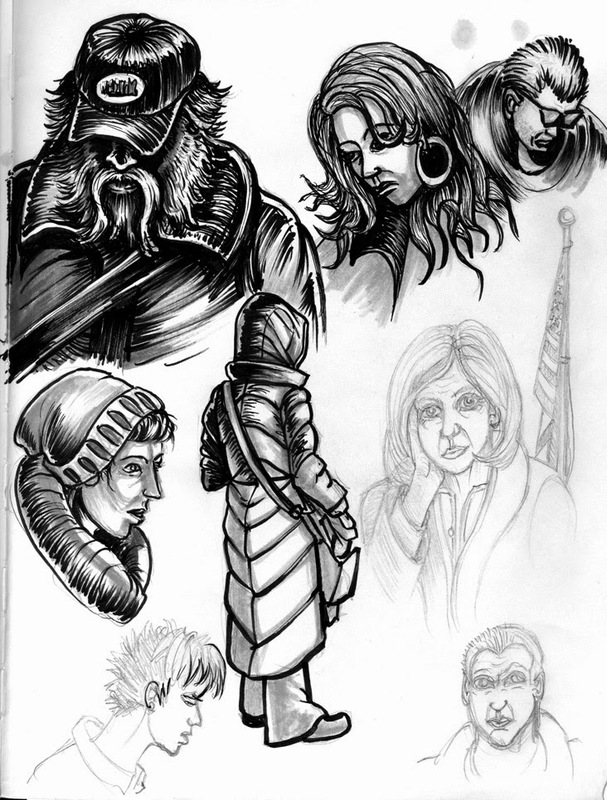 NYC is the great melting pot of people, who needs aliens anyway.